Heather Preisser graduated from Florida State University before going on to earn her physician assistant degree from the Miami Dade College School of Health Sciences. 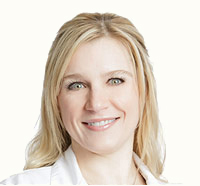 Heather has extensive surgical and operating room experience. She is trained to provide all aspects of dermatological care, including skin cancer surgery, surgical reconstruction, and cosmetic procedures such as Botox® injections and laser treatments. She is a fellow of the American Academy of Physician Assistants and the Florida Academy of Physician Assistants, and a member of the National Commission on Certification of Physician Assistants.